Weekly Happenings: This past week was a fun one. Valentine’s Day has never been one that we celebrated in a huge way, but this year we did get to do a few fun things. It started this past Tuesday when Joseph had a Valentine party for Story Time at the library. We then had a Valentine picnic (and cookie decorating) at a park close by with friends on Thursday. On Friday, I took Joseph on a “date” out to the mall where he got to choose a new LEGO kit and then we got a Happy Meal on the way home. Friday night, Paul and I dropped Joseph off at a friend’s house and then went out for dinner (while I love our son, it is really nice for it to be just the two of us every once in awhile). Yesterday we had a low-key day at home and then went to the nearby outdoor mall to walk around in the evening. 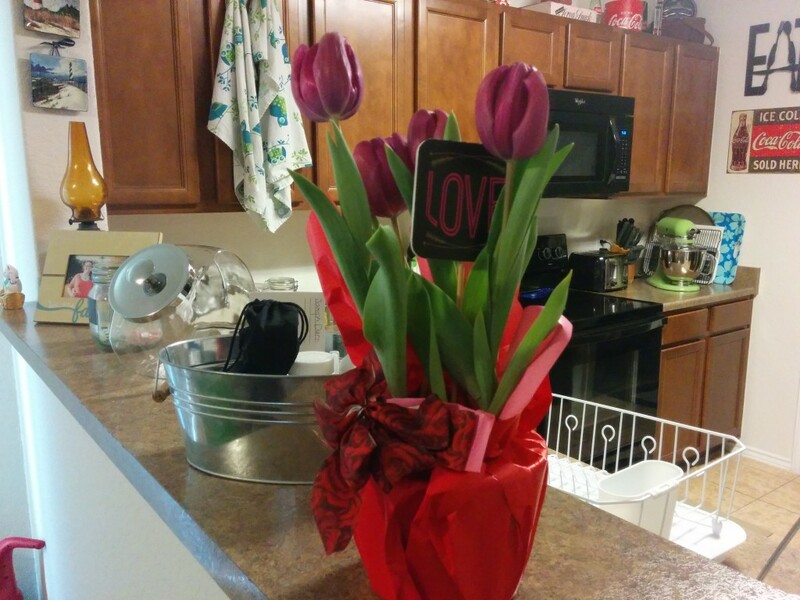 As far as today goes (Valentine’s Day, itself), we went to church as usual, but do have a somewhat special dinner planned (Paul’s going to grill some steaks and we’re going to have sauteed mushrooms, potatoes, and veggies). The Weekly Weather: I’m beginning to think that winter is over. The weather this past week was amazing. Warm (but not too hot), sunny, and beautiful. If this is what is in store, I’ll take it! What Paul’s Been Up To: Not too much out of the ordinary…he’s been keeping busy with school work, work, and whatnot. He did use a Best Buy gift certificate that he’s had for a while to purchase an inexpensive Kindle Fire (tablet) so that he has an updated eReader. He also was officially set apart as the Assistant Scoutmaster for our ward. What Joseph’s Been Up To: Other than the events that have been mentioned already, not too much. I’ve had so much fun with him this past week. I love watching his reaction when we get to do special things. The pure joy that he expresses makes my heart sing. I love my little man! 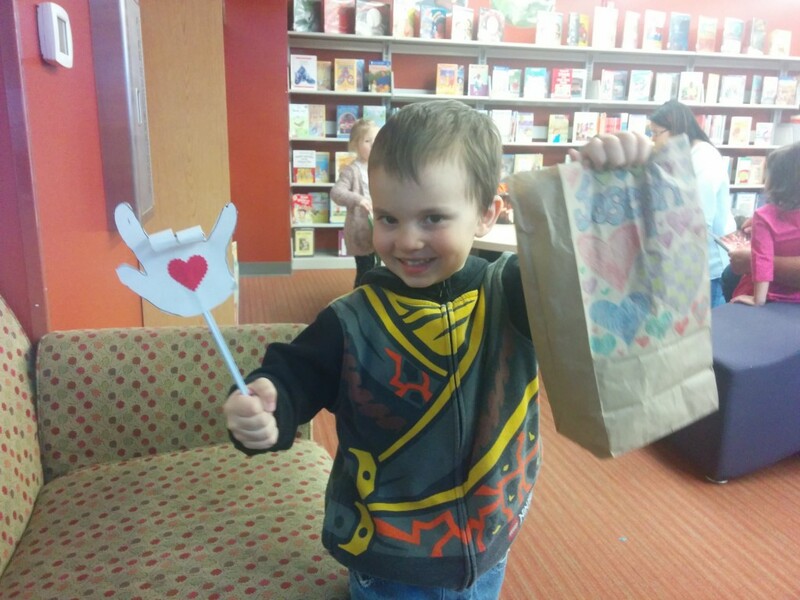 Showing off his bag of treats as well as the craft we did (that’s his handprint made into an “I love you” sign language sign) for the Valentine party at the library. He had a pretty good time. 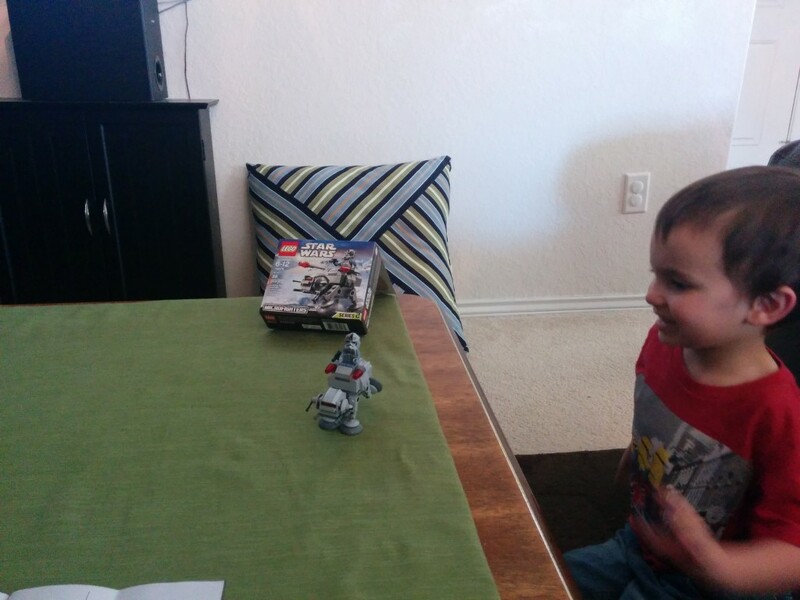 Joseph picked out a Star Wars LEGO kit. 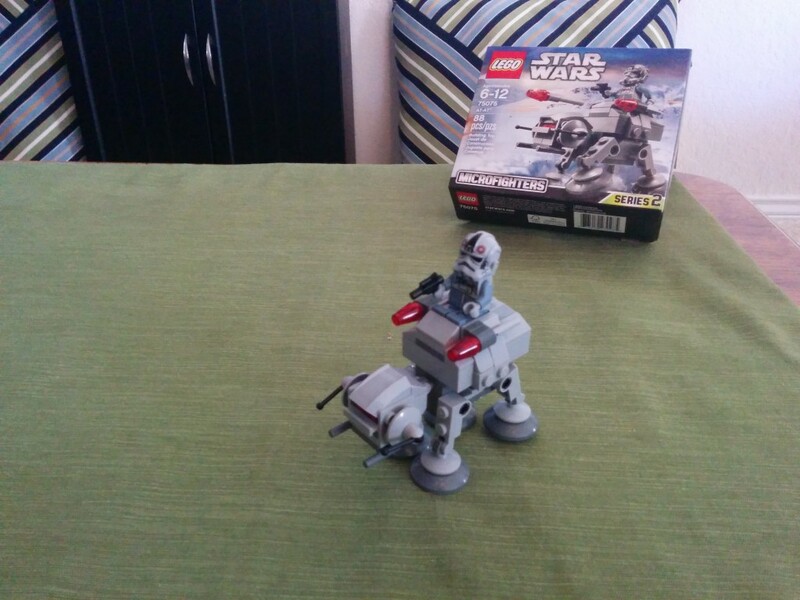 This was the first one I’ve ever attempted to put together (Joseph helped me organize the pieces, but assembly is still a bit over his head)…I usually leave that type of stuff up to Paul. I was pretty happy that I got it put together without even getting a smidge frustrated. Joseph was pretty excited when I got it all done. 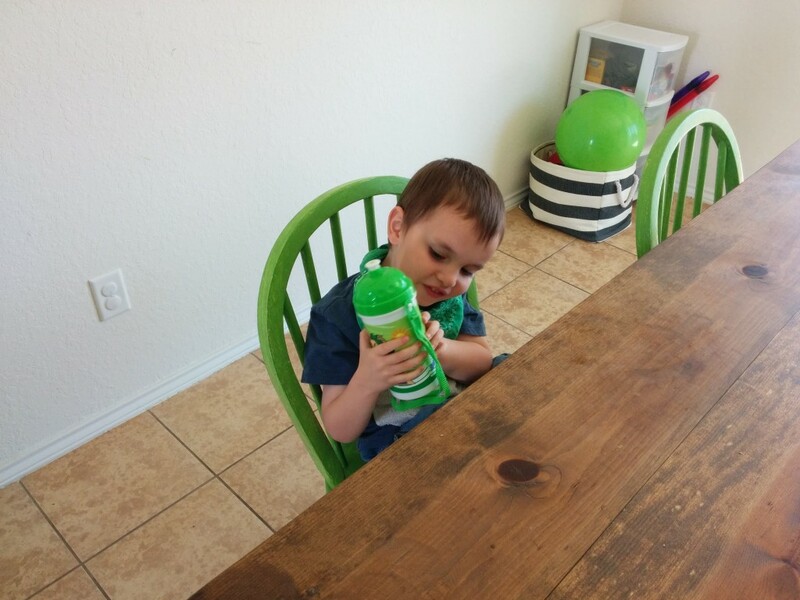 Joseph’s been saving his points from the Buddy Bucks machine (imagine Price is Right spinning wheel but with point values instead of dollar amounts) and finally saved up enough to get a water bottle he’s been eying for a while. He’s pretty excited, to say the least.